During the 1870s and 1880s, the social season was divided into two: winter and summer. The winter season stretched from mid-November until the onset of Lent, and was marked by the opening of the opera season at the Academy of Music. It was here, at this grand old theatre, whose boxes were guarded jealously by the Knickerbocker elite and handed down from generation to generation, that Countess Ellen Olenska made her first appearance in Edith Wharton’s The Age of Innocence. Because of this exclusivity, those “swells” who hammered at the Knickerbockers’ doors pulled together resources to fund the Metropolitan Opera House, whose “Golden Horseshoe” of 122 prominently placed boxes proved irresistible to Society. 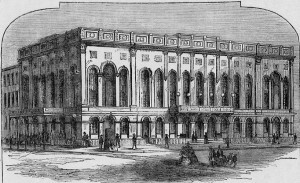 After 1883, even the old guard abandoned the Academy of Music for the more fashionable and opulent Metropolitan Opera House, and attending the opera on opening night and thereafter on Friday nights was de rigueur. As in other social cities, the opera was the place to see and be seen, and throughout the evening, the Four Hundred turned their lorgnettes to the boxes opposite and paid visits. Mrs. Astor sat regally in her box, recieving the homages of her subjects, but never leaving to visit someone else. She rarely remained past the first act, and it was a serious breach of etiquette for someone to leave before Mrs. Astor left. Over the twelve weeks of the winter season, society “flung itself headlong” into a bevy of balls, receptions, parties, dinner and other activities. Besides the opening of the opera season, the New York Horse Show each November, and Mrs. Astor’s annual ball, held in January, also became demarcations of the rise and ebb of the season. The month of December became fixed as the month for coming-out receptions for debutantes, who made their entrance into society in the Patriarchs’ Balls (until 1897) and the junior cotillions. February’s Charity Ball, which cut across all coteries and sets, signaled the end of the winter season and the onset of Lent. During the Lenten season, social events were less public, less showy and generally less ostentatious. The Four Hundred occupied this “quiet time” with fundraisers for charities, informal dinners and preparing themselves for the onset of the summer season. The Summer season was, famously, held in Newport, Rhode Island. Initially a resort which attracted wealthy planters prior to the Civil War, the beautiful views and agreeable weather began to attract New York’s millionaires. Practically overnight this sleepy Colonial town on the coast of America’s smallest state turned into an exclusive enclave for some of the country’s wealthiest citizens. Every square mile of available land was snapped up by millionaires, old structures razed and grandiose mansions dubbed “cottages” were erected. 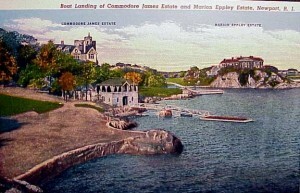 The lack of hotels and the staking of Bailey’s Beach–where changing rooms were purchased at a cost of $500–kept away sightseers, though later on in the 1900s, tour guides began to ply trade in Newport, the most famous incident being when a tea held by the former Alva Vanderbilt was interrupted by a guide remarking on her former residence at Marble House and her present residence at Belcourt “above the stables with Mr. Belmont.” So exclusive was Newport society, it was considered the ultimate place in which to test one’s acceptance into the Four Hundred. Chicago society’s grand dame, Mrs. Potter Palmer, was ignored during her first forays into the resort, as her husband, a hotelier, was considered little better than an innkeeper. By the 1890s, the fragmentation of society into sets and cliques manifested itself in the variety of places in which prominent families chose to spend their time. The establishment of golf and country clubs and the construction of large mansions on Long Island, particularly Southampton and Glen Cove, lured numerous people away from Newport. Saratoga was popular with the racing set. 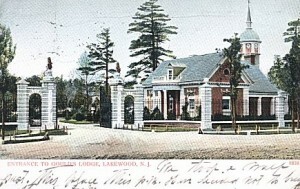 George Gould settled in Lakewood, New Jersey, and a thriving community there added itself to the social season. Some members of the Four Hundred even went to the resorts native to the elite of Boston or Philadelphia, summering in such places as Martha’s Vineyard, Bar Harbor or Cape Cod. Another place for summering were the Adirondack Mountains, and hardy New Yorkers placed their indelible stamp on this site by building “camps” that rivaled their “cottages” in Newport. Here, men and women were informal, donning casual clothes and enjoying the vogue for outdoors life. The turn of the century craze for outdoors life led to the development of a “suburban” season in the autumn. This overlapped somewhat with the Newport season, though the enclaves of the Berkshires, the Hudson River and Tuxedo Park were even more exclusive. In the Berkshires, society indulged in sports such as hunting and riding, and in-home entertainments like card games, acrostics, and amateur theatrics. Centered around the quiet towns of Stockbridge, Lenox and Pittsfield, those who chose to spend time in the Berkshires were of a more sober nature. Those who visited the Hudson were typically of old Knickerbocker stock as the early Dutch settlers built farms upon the banks of the Hudson, and here English-style week-end house parties were held. 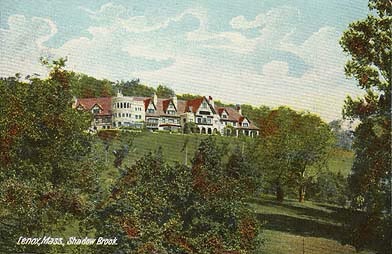 Tuxedo Park, founded in 1886 by Pierre Lorillard, was a private “resort” just north of Manhattan. This was an ultra-exclusive place, with just 20 families owning “cottages” on five acre sections of a 600,000 acre estate. These families took up residence in autumn and remained there until around Thanksgiving, and returned again at Christmas and New Year’s, where they met for dinners and dances at the Tuxedo Club. Another alluring, new activity for the Four Hundred were winter sports, and winter resorts catering to the craze for skiing, tobogganing and sledding, sprang up around the Adirondacks’ lakes, most notably the Lake Placid Club organized in 1895 by Melvil Dewey (he of the Dewey Decimal system). Other winter spots included the balmy climate of Palm Beach and Daytona Florida, where a number of fashionable hotels and bungalows were built to cater to the wealthy visitors. As did their European counterparts, during the 1900s and 1910s, members of the Four Hundred no longer placed as much importance on their native social seasons as they did in the past. During the early 20th century, the elite of all nationalities mingled in different locations: London or Paris during the spring, Rome or the French Riviera in winter, with possible stops in Berlin, St. Petersburg or Vienna, depending on whether the visitor possessed the proper social cachet. A typical itinerary for a New Yorker was to travel to Europe in late spring to take part in the Parisian or London seasons, spend the summer months touring Italy or visiting a German spa, and then returning to Paris in early autumn to pick up the orders made in the couture houses along the Rue de la Paix. 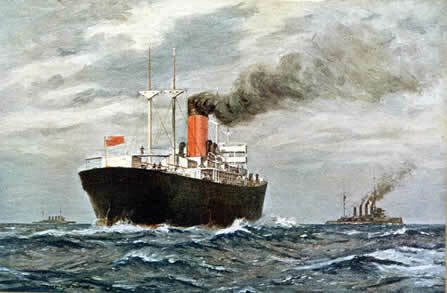 They would then cross the Channel and embark on a steamer from Liverpool headed to New York to begin the social game all over again! I’m curious about Australia’s social scene at this time, I get that England, Europe & America were THE centres of fashion, society & refinement, but as an Australian, who’s interested in this period; I wondered about the social calender for the rich & famous Down Under- as I know famous people & nobiltiy have spent time in our country- I was just wondering what you knew about that particular area – especially Queensland, if you have specifics. Hi Zelda! I actually just made plans to discuss society in Britain’s colonies and dominions! Stay tuned!